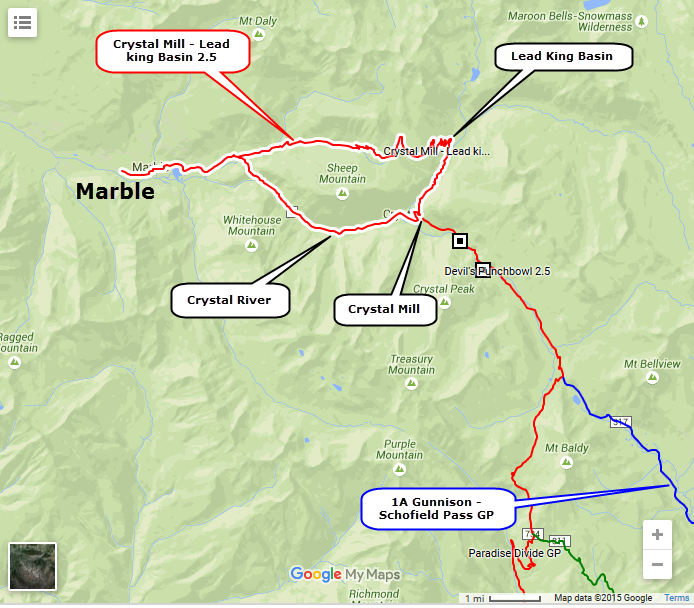 There are two sections to this Jeep trail - a 2.0 road along the Crystal River from Marble to the Crystal Mill, and a 2.5 road that climbs out of Lead King Basin from the powerhouse and returns to Marble. The road along the river is fairly easy, but is very rocky and bumpy. It is also heavily traveled by all sorts of vehicles. There was a marriage performed at the mill viewpoint when we were there. 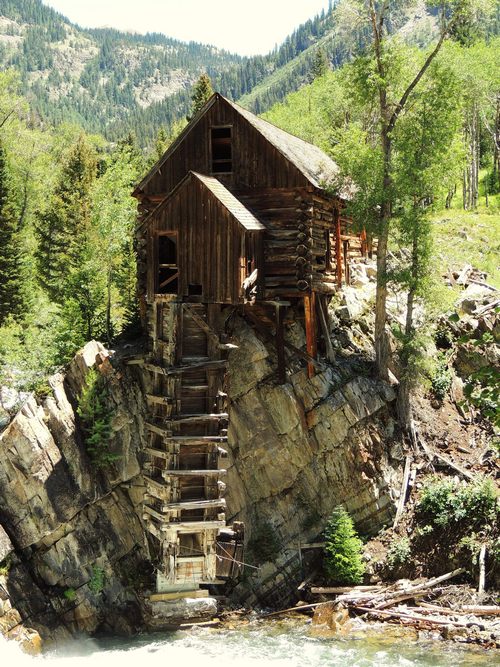 The Crystal Mill is an 1892 wooden powerhouse located on an outcrop above the Crystal River. Although called a mill, it is more correctly denoted as a compressor station, which used a water turbine to drive an air compressor. The compressed air was then used to power other machinery or tools. 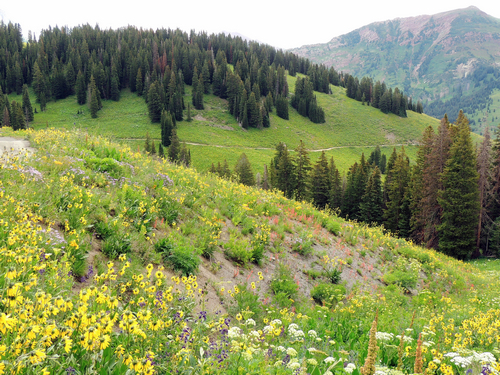 The Lead King Basin road is a mellow 2.5 road that is wide enough for passing most of the way. There are a LOT of waterbars that have held back erosion, but they also hold back speed (a good thing). 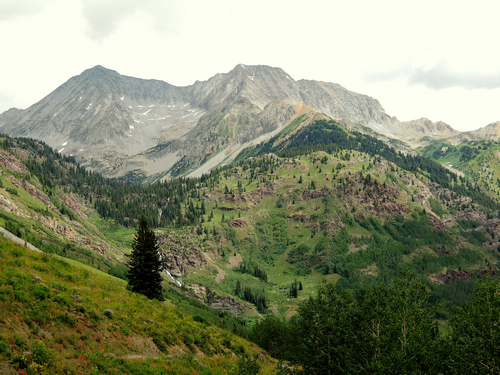 Nice scenery climbing out of Lead King Basin and a brief section of open road at the high point. I would prefer using this road to go between Marble and the Mill.